Collaboration and Innovation: Sitka Gary Paxton Industrial Park Multi-Use Dock Design-Build | R&M Consultants, Inc.
With the opening of a major new container terminal at Port Prince Rupert in British Columbia, Sitka has new opportunities as a regional freight sub-port to feed into the Prince Rupert facility. The Canadian port has become one of four major shipping gateways on the west coast and the shortest link between North America and Asian markets. In response to this new opportunity, the City and Borough of Sitka (CBS) constructed a multi-purpose deep water dock at the Gary Paxton Industrial Park, making the Park a true access point for land to sea markets. The site offers deep water, adequate room for approach and departure maneuvers for ocean-going vessels, and plenty of upland lots for marine service industries. The CBS advertised this project through a Design-Build Request for Proposals (RFP). They previously contracted with a Consultant to design a multi-purpose dock that could be constructed per the traditional method of design-bid-build. The estimated costs of the designed facility were well above the CBS’s budget and they abandoned the design-bid-build method. CBS then explored a Design-Build process as a way to allow flexibility in design and construction so unique solutions for the facility could be explored. This approach eventually gained support and an RFP was advertised on June 21, 2016. In response to the RFP, Turnagain Marine Construction and R&M Consultants, Inc. (R&M) capitalized on their collaborative relationship and created an innovative concept design able to meet the CBS’s needs for the facility within their limited budget. R&M and Turnagain have worked together on numerous projects in the past where we successfully created unique solutions and felt that, together, our team could design the best solution for the CBS. The design solution we proposed consisted of a floating dock moored to a pair of steel pile dolphins that would be built by repurposing a high quality 250’ X 74’ floating barge with a high capacity deck to serve as the floating dock. The floating dock is connected to the uplands by an 80’ long steel transfer bridge and has an additional small craft float system attached to the upland side of the dock. Meeting a 50-year design life. Designing for a 400’ x 100’ fully loaded cargo barge and a 275,000 lb forklift. Meeting the 50-year design life was accomplished primarily through Turnagain’s ability to source a high quality barge in excellent condition to serve as the floating dock. The barge was thoroughly inspected, recoated and topped with a 6” reinforced concrete deck. The steel piling used for the mooring dolphins were galvanized and equipped with aluminum and magnesium sacrificial anodes to achieve the 50-year design life. The floating dock structure was also required to support a 400’ x 100’ cargo barge, fully loaded with shipping containers stacked more than 40’ high. This design vessel created high berthing and mooring loads, which are resisted by the dolphin pile clusters at each end of the floating dock. Each dolphin consists of a 48” diameter vertical pile connected to two 30” diameter batter piles. These piles are anchored to bedrock or subsurface soils to resist overturning created by the large lateral loads. In addition, the owner required the facility to be designed for a heavy-duty forklift with a 245,000 lb drive axle and 30,000 lb steer axle that would be used for cargo barge unlading operations. We designed a 36” thick spread foundation abutment at the uplands to support the heavy duty transfer bridge and high wheel loads. 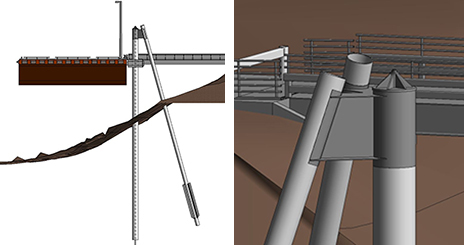 A further design challenge was the likelihood of saturated soils liquefying during the design seismic event, causing soils above to slide towards the floating dock from the uplands. The dolphin pile clusters needed to be designed to resist soil pressures on the piles from this anticipated soil spreading event. R&M and Turnagain explored several innovative design features to meet the Owner’s needs and budget. Knowing Turnagain’s capacity for efficiently driving large diameter piles, we decided to use fewer mooring dolphins with larger pile diameters, rather than multiple dolphins with smaller pile diameters. Working with the geotechnical engineers at Shannon & Wilson, Inc., anchoring of the dolphins to resist overturning forces was optimized. 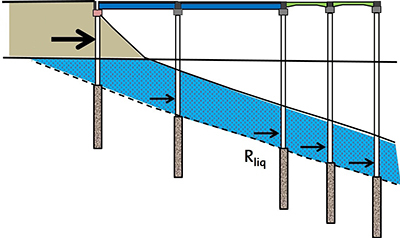 Instead of simply rock anchoring all three piles at each mooring dolphin (at a significant cost), we were able to show that only the single king pile of each dolphin needed rock anchors and the remaining four batter piles could be effectively anchored using friction plates welded to the bottom 25’ of pile to resist uplift forces. R&M also designed efficient pile caps at the rock anchor heads for post-tensioning the rock anchors, which saved time and material from the conventional stacked plate method that would have required a stack of steel plates four feet in diameter and two-feet tall. R&M decided early on in the project to use Autodesk Revit software for creating construction drawings for the floating dock instead of conventional AutoCAD drafting software. This was the first time we had used Revit software on a marine facility, but chose the program because Revit can be used to efficiently create a 3D model of the structure from which construction drawings are created. This allowed our team to display the design intent to the owner and easily coordinate with other disciplines during the design phase. For the floating dock project, R&M started creating the 3D model by importing survey data and bathymetry data of Sawmill Cove. We imported existing uplands topography and created a single surface of the bathymetry and uplands topography. We then modeled the floating dock, transfer bridge, mooring dolphins and abutment in the correct location with respect to survey data and the created surface. This provided a model from which we could extract elevations, plans and sections that would accurately show what the structure looked like at any location with respect to the existing on-site conditions. Line work and annotations were then added to these sections, plans and elevations to create flat drawings to use during construction. We also created various 3D views of the model to depict design elements to the Owner, Contractor and Subconsultants. 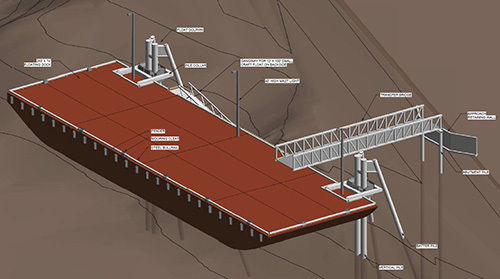 R&M also efficiently used Risa-3D finite element modeling software to assist with the design of several elements of the floating dock facility. We created finite element models of the dolphin clusters to analyze the dolphin’s response to various loads, including berthing, mooring, wave and seismic soil spreading loads. We also modeled the king pile bearing plate cap designed for rock anchor post tensioning forces in Risa-3D to create a cap geometry that could resist the post tension forces and reduce the amount of steel required. Pile collars anchoring the floating dock to the mooring dolpins were also designed in Risa 3D to optimize steel thicknesses and weld sizes. Turnagain completed construction of the multi-purpose floating dock in December 2017. Through our collaborative efforts and innovative use of new technologies, R&M and Turnagain were able to solve the CBS’s design challenges. Our team designed and constructed a deep water dock that will capitalize on the opportunity to serve as a regional freight sub-port, catalyze growth and new business, and meet future service demands. R&M Project Engineer Josh Zellmer, PE and Turnagain President Jason Davis presented on this topic at the 2017 Alaska Association of Harbormaster and Port Administrators (AAHPA) conference in October 2017. Josh is a Project Engineer in R&M’s Structural Engineering Group. He brings more than nine years of experience in structural and civil engineering to R&M and is experienced in creating bid ready specifications, plans and estimates. 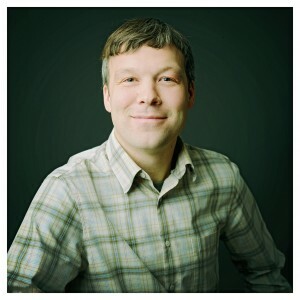 Josh has significant experience designing steel framed structures, concrete foundations and wood framed structures. He is knowledgeable in creating 3D structural models and drawings in Autodesk Revit software, and creating construction plan sets with both Revit and AutoCAD. Josh also uses RISA-3D finite element analysis software for structural analysis of steel and wood framed buildings, as well as using RISA for structural analysis of smaller steel fabricated items.